If ever there was an inspirational story about overcoming obstacles, Fabienne’s would be it. As the sole elite representing the small African country of Mauritius, qualifying for the Rio de Janeiro Olympic Games was a remarkable feat. But, everything changed for Fabienne when in December of 2015, she was diagnosed with salivary gland cancer right in the middle of her training period to prep for the Games. She began treatment for the rare form of cancer the following April, but she faced an uphill battle getting her body in shape to compete at an Olympics level. Then, after undergoing two surgeries to remove the tumour and another to remove further cancerous cells, complications left Fabienne with face paralysis for three long months. However, when August came and it was time to line up on the Olympic start line, Fabienne toed that line. Despite all of her challenges, she had qualified, she had earned her place on that roster and no battle of cancer or any obstacle was going to stop her from competing in what she worked so hard for. Fabienne started the race, unfortunately she was forced to pull out of the swim. Her story is one about overcoming, about never giving up and about hope in the face of adversities. So it is a pleasure to recognize her with a “Best of 2016” honour. Stockwell was the first female to be injured and lose a limb in the Iraq War back. In 2004, she was a convoy commander and was riding in a humvee with her team, when they drove over an IED that caused her to lose her left leg. And while losing a limb is devastating and would cause many to give up, Stockwell used her tragedy to overcome it and instead focus on the positive that can come out of it. Stockwell focused her energy on learning to compete as a paralympian. In 2008, she competed as a swimmer at in the Beijing Paralympic Games, but come 2016 she competed as a paratriathlete. 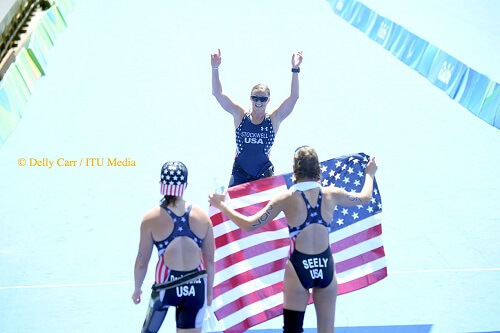 And as paratriathlon made its debut in the Games in Rio, Stockwell crossed the line earning the bronze medal in the women’s PT2 sport class, where she completed a full USA clean sweep of the podium and more so, it was done on the 15th anniversary of the September 11 attack on the World Trade Center. An accomplishment that hit home a little more closely than others. On November 10, 2015 Frenchman Laurent Vidal passed away in his home while sleeping. 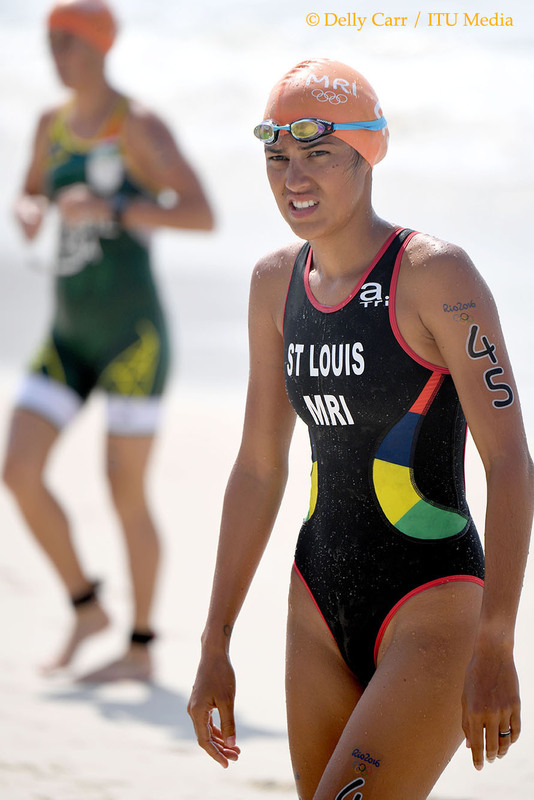 Vidal was a pillar and respected role model athlete in the triathlon community. He also was the coach and fiance to Hewitt. Despite dealing with the pain of losing her love and teammate, Hewitt started the 2016 ITU triathlon season still looking fierce and ready to compete, working towards the goal of doing well in the Rio Olympics, a goal her and Vidal were working towards together. 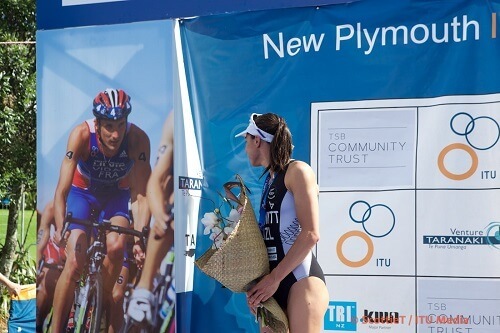 In her debut race of the season, hosted in her home nation of New Zealand, Hewitt wowed the crowd and the world by putting forth a strong performance and ended up with the silver medal at the New Plymouth ITU World Cup. A perfect tribute to her fiance and his memory! Her strength is beyond inspirational!